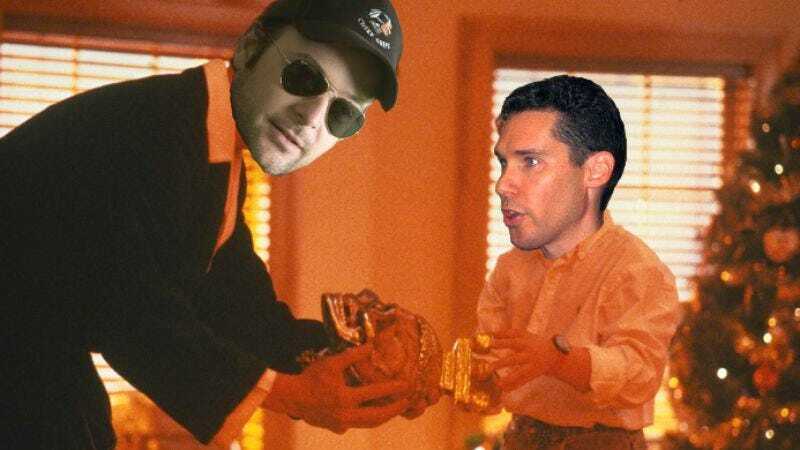 Confirming last week's rumors, Bryan Singer has been confirmed to switch places with Matthew Vaughn on 2014's X-Men: Days Of Future Past, reversing the roles they played on 2011's X-Men: First Class. Singer, who directed the first two X-Men movies in the early '00s, will work from a treatment written by Vaughn—much as Vaughn previously worked from a treatment by Singer—with Vaughn now producing for Singer, just like Singer previously produced for Vaughn. The change-up began yesterday, when Singer awoke in Vaughn's bed and vice versa, as each stumbled sleepily to the bathroom to scream comically as they saw the other's face looking back at him, then spent the day trying to convince their own terrified friends and family of their real identity in a series of escalating body-swap hijinks. They are expected to remain like this until they each learn to appreciate each other and not take their own lives for granted, or until Bryan Singer has amassed enough ostracism metaphors to fill his new X-Men film.